This training day is specifically designed for any professional who will be working with mothers and helping to care for their babies. 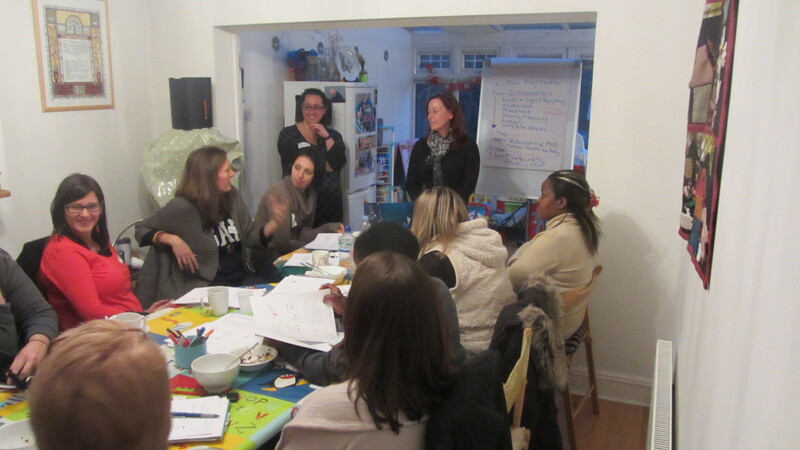 Training days are jointly run between Jan, babycare consultant & maternity nurse and myself. Jan and I, through BeReadytoParent, pride ourselves on our ability to customise the course to meet the specific needs of each group. There are opportunities to invite parents and professionals to speak and share their own experiences and each participant receives an up-to-date information pack to take home. What is postnatal depression? How to recognise the early signs and symptoms? What are the risk factors? Why is it not just the baby blues? Do fathers get PND? Treatment – medical, psychological, short and long term. Inpatient and outpatient. The patient journey – NHS services: what is and what should be provided. Parent-child interaction, effects on the child in the immediate and longer term. The cost is £195 for Level 3 and £295 for Level 4. The session takes place in Finchley, North London, N3 OR in The Radlett Centre, Hertfordshire depending on numbers, from 945am to 5pm . View venue details.